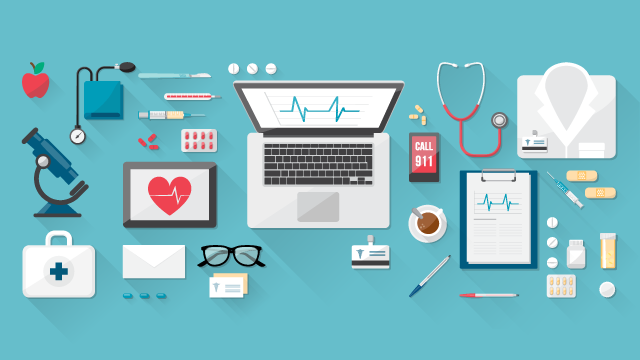 Health care is being radically transformed by digital technology – smart phones, tablets and web-enabled devices are changing providers’ jobs and the patient experience. Electronic health records (EHRs) are at the center of this transformation, improving health information flow and the way care is delivered and compensated. But just how far has health IT come? 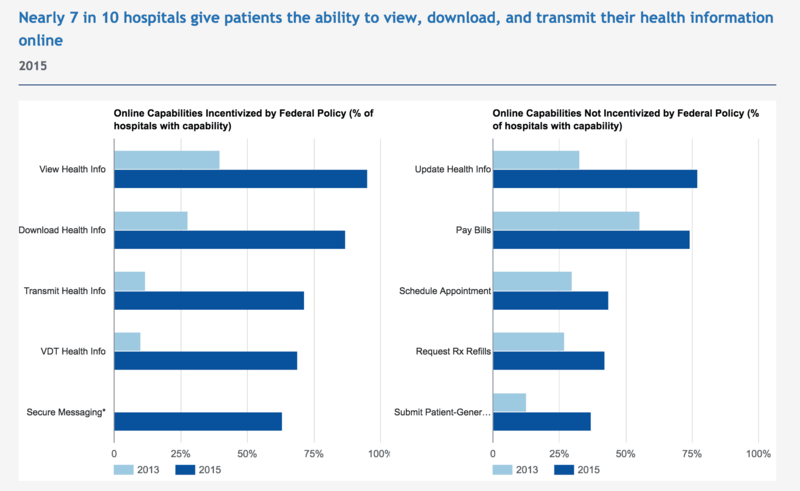 To help you grasp the big picture, we reviewed data from HealthIT.gov to give you 5 key numbers. That’s right – nearly all eligible hospitals have demonstrated meaningful use of certified EHR technology by participating in the Centers for Medicare and Medicaid Service (CMS) EHR Incentive Programs. As of July 2017, that includes 4,520 non-federal acute care hospitals in all 50 states. Hospitals included in that statistic have achieved either Meaningful Use Stage 1 or 2. Stage 1 focused on data capture and sharing, requiring hospitals to electronically capture and share health information and then use that information to track key clinical conditions, coordinate care and engage patients and their families. Stage 2 focused on advancing clinical processes, including more rigorous health information exchange, incorporating e-prescribing and lab results and expanding patient-controlled data. As of 2017, 95 percent of large hospitals have achieved Stage 2 of Meaningful Use. While not as impressive as hospital health IT adoption, this number represents a big step forward among physicians. Progress is also evident in physician EHR adoption, which more than doubled in the US since 2008, reaching 84 percent in 2015. Meaningful Use values for each state show the percentage of all physicians that have participated in the CMS EHR Incentive Programs. Admittedly these numbers are a little lower than they seem, because not all physicians are eligible for the EHR Incentive Program. HealthIT.gov uses the total number of physicians in each state since it’s hard to pin down the exact number of eligible physicians. 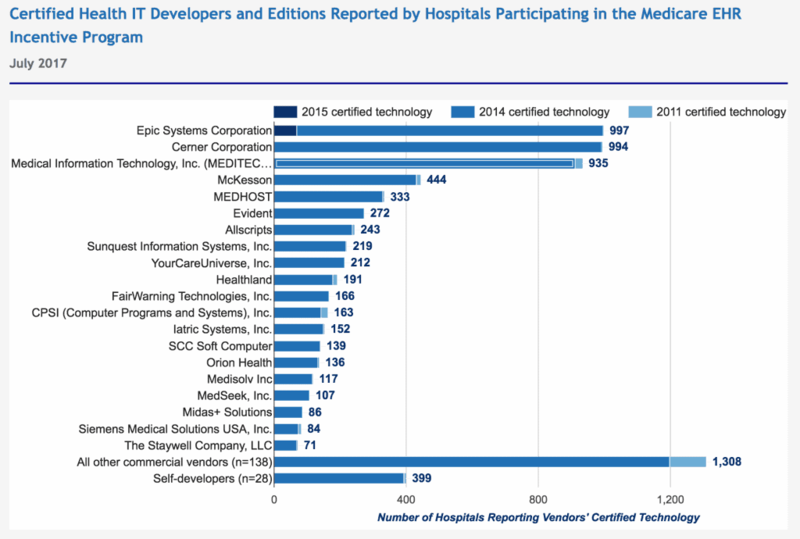 The big three certified health IT developers are Epic Systems, Cerner and MEDITECH, which together supply 2,926 non-federal acute care hospitals participating in the Medicare EHR Incentive Program. The largest 10 developers supply EHR technology to over 98% of US hospitals – that’s adding in CPSI and its subsidiaries McKesson and Medhost, as well as Allscripts, Health Care Systems, QuadraMed and Prognosis. This number only includes developers providing what the Department of Health and Human Services calls “certified health IT,” which has to adhere to specific technological capabilities, functionalities, and security requirements. Unfortunately, not all of the Health IT numbers are positive. 2015 saw a huge leap in medical data breaches and this may be the new norm. As we saw in 2016-2017 protected health information continues to be at risk with the malware hacks harrowing US hospitals. Based on HealthIT.gov’s 2015 data, most breaches have been hacking/IT incidents initiated via network servers or electronic mail records. Aside from the direct impact of these hacking events, health information breaches also seem to lower public support for EHRs. As a 2012 survey shows support for EHRs is as low as 17 percent among Americans who believe healthcare providers don’t have reasonable health IT security protections in place. With this in mind, recent security breaches at US hospitals seem to be taking a toll on public opinion. According to a 2017 survey, 69 percent of patients say their primary care physician doesn’t demonstrate enough technology prowess for them to trust divulging all of their personal information. While the reporting for these criteria is a little out of date, online patient engagement functionality grew a lot between 2012 and 2015 – from 10 to 69 percent. That includes hospitals that allow patients to view, download and transmit their health information online. As of 2015, 63 percent of hospitals also allowed patients to securely message with their healthcare provider. These increases can mostly be attributed to requirements under Stage 1 of Meaningful Use.